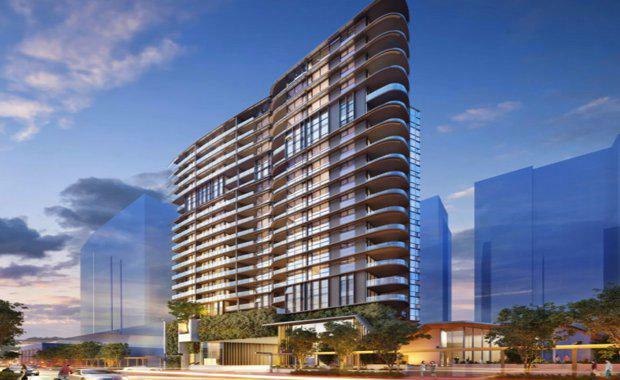 Metro Property Development has recently closed a significant deal with OCP Asia for approximately $90 million in order to complete the Capri development. Capri is the fourth stage of Newstead Central in Brisbane, which had construction begin with Hutchinson Builders in September 2016. Completion of the project is on track for the first quarter of 2018. OCP Asia is an Asia-focused investment manager founded in 2009, with offices in both Hong Kong and Singapore. The company has invested over $1 billion in Australia since 2010 with over 20 secured credit transactions completed in the last 24 months. Since 2014 OCP has completed over A$500 million of real estate financings in Australia across land sub-division, medium and high rise residential, commercial and the hotel sectors with transactions at both the project level and corporate holdco level. Metro Managing Director Luke Hartman said the company was looking forward to working with OCP Asia. “Construction has now commenced and we are looking forward to seeing progress ramp up on site throughout this year,” Mr Hartman said. In Queensland, Metro has helped to deliver around 2,117 apartments in the past five years, with a record 905 of those apartments completed in 2016 alone across four inner-city projects – all of which are sold out and rented. Including Capri, there are currently 1,009 apartments across four towers currently under construction in the inner-city which are due for completion within the next 18 months. Metro’s focus on sales and marketing has seen more than 95% in pre-sales secured across these projects. Nationally, Metro has more than $1 billion of unconditional sales for projects currently under construction, and have already delivered more than 6,000 dwellings across Australia.